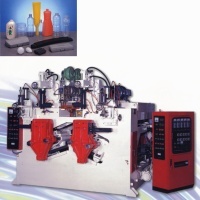 These machines are automatic models and are designed for high output. The machine has special characteristics, i.e. :produce different articles with the same materials high speed and good stability. The production can be fully increased by using a combination of a double or triple die head. Company:FU TEN DUO INDUSTRIAL CORP.